Aleene’s Original Glues - What glue can I use on tri-fold poster boards? What glue can I use on tri-fold poster boards? 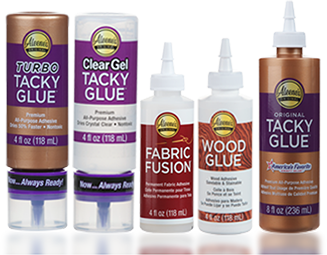 You can use any white glue from the Aleene’s Original Tacky Glue line on poster boards, including School Tacky Glue, Turbo Tacky Glue, Quick Dry Tacky Glue and Fast Grab Tacky Glue. All of these glues feature a thick formula that dries clear and won't yellow your poster board project.